80% of your child’s brain development happens during the first three years of life and is shaped by the early experiences provided by their main caregivers. 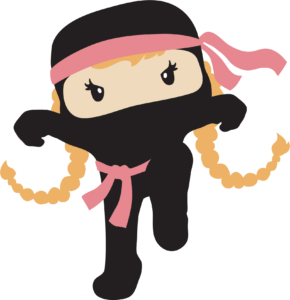 The Ninja Nanny Series, is a collection of professional development opportunities created with nannies in mind. Sessions are taught in three different ways: in-person, live webinar or as an online full home-study course to be completed at your leisure. Thirsty for knowledge and more credentials? Join us for our intensive, 2-day bootcamp! Our next one is on February 10 & 11 2018. Breakfast and printed materials are included in the registration price. Come and join other local Ninja Nannies! Classes are held on the first and third Tuesdays of the month with some occasional double-feature Saturday morning session. Make sure you check our calendar! Class is much more interactive and you are sure to have a great time. Price: $25 - $375 Meet in Central Square, in Cambridge. Join the webinar live with hundreds of ninja nannies all around the world. Replay is available for a week and class handouts will be sent to you via e-mail after the class. Each subject is delivered separately in an easy-to-navigate platform with videos, voice-over slides, handouts, and quizzes. You have life time access to it and can go over the content as many times as you wish!